Everyone wants to save money on their bill. DELWP's Ways to Save home is a simple and easy to use tool that helps you find information about DELWP initiatives and tips that may help you save on your water, gas and electricity bills. Our ways to save info graphic is best viewed in landscape mode on your device. Only cool the rooms you use most and keep air-conditioning between 23 and 26 degrees in summer. Find incentives for replacing an old electric central heating system or ducted reverse-cycle heating. If you have reverse-cycle heating, installing exhaust fan draft stoppers can reduce your energy bills by up to $24 per year. Changing the light globes in your home or business can wipe up to $16 per globe from your yearly power bill. Replace old incandescent and halogen light globes with energy efficient globes. Save now. Check your fridge is set to 3 - 5 degrees and freezers are set -15 degrees to save energy and keep bills down. Access incentives for upgrading your fridge or freezer. When buying a new fridge, choosing a high efficiency '5 star' option can save up to $45 per year. When buying a new tv, choose a high efficiency '5 star' option. Use a cold-water cycle to do the washing. You’ll save energy and up to $115 a year. We are making solar panels more affordable and helping you cut your electricity bill through the Solar Homes package. The package will provide a rebate on the cost of a solar PV system, up to a maximum of $2,225. Find out if you're eligible. Cut your electricity bill with solar hot water. The Solar Homes Package provides a rebate of up to $1,000 on solar hot water systems for eligible households. Find out if you're eligible. When using a space heating or cooling system, close doors to rooms you don’t need to heat or cool. Hot air can be lost through exhaust fans in ceilings. Products are available from hardware stores to place over fans to keep hot air in when not in use and open when the fan is switched on. Turn non-essential appliances off at the power point. Extra power could be used by gadgets and appliances that are left on standby. Reduce draughts by fitting a draught excluder and weather seals to external doors. Gaps in windows can also be reduced with the help of weather seals. A wide range of products are available from hardware stores. Manage blinds and external window coverings to keep the heat in or out depending on the weather. If you have a leaking tap, replace the washer or other components as required. Dripping taps can waste 30–200 litres of water per day. Swap your inefficient shower heads for 3-Star WELS rated water efficient ones. Save up to 13,500 litres of water per person per year. Dual flush toilets with a WELS rating of 3 or 4 stars can help you save up to 35,000 litres per year. You can also place a filled bottle or brick in the cistern to reduce water used in each flush. Learn about the permanent water saving rules that are always in place across Victoria to help ensure we all use water wisely. Outdoor water use accounts for 25-50% of the average Australian household's water use. Over summer it’s best to water your garden in the morning or evening, to reduce evaporation during the heat of the day. Using mulch on your garden will help you reduce water evaporation by up to 70%. Maintaining an attractive garden that requires less water is easier when you choose appropriate plants. Visit the Plant Selector to find out how. Front loading washing machines are more water efficient, with a full load you will save 10 litres of water each wash. A cold water cycle can save you about $115 a year in energy costs. Save on water and energy with a four or more star WELS rating washing machine. You can save water and time by scraping your plates instead of rinsing them, and washing your dishes in a fully loaded dishwasher instead of handwashing them. To check if your tap is leaking, place a cup underneath the tap during the day. If there are more than a few millimetres in the cup when you return, you may need to replace the tap washer. Reduce the time spent in the shower. Shorter showers save on water and the energy costs associated with heating water. Be sure to turn the tap off when you are washing your teeth or shaving. More handy tips on using water wisely in the home . Minimise the area to be heated or cooled by closing doors to areas of your home you're not using – 'zoning' your home. Every degree above 20° can add 10% to your heating bill. In winter, heating can account for over 30% of your bill. In winter, set your thermostat between 18° and 20°. Receive an incentive for replacing old heating. Effective ceiling insulation can save you up to 20% on your heating costs. When choosing insulation look for products that have a ‘R Value’ greater than 2.5. A family with ducted gas heating can save up to $800 on their winter heating bills by installing insulation. If you're upgrading your oven, consider one that's fan forced. It cooks faster and more evenly than conventional settings. Reduce your hot water bill by fitting a water efficient shower head – the less water you use, the less you have to heat. Check out the star rating, the more stars the more efficient. An efficient shower head can reduce your energy bills by $15 per year. If buying a new appliance, check whether it has a star rating. The more stars the higher the savings. When using a gas space heater, close doors to rooms you don’t need to heat. See how Roy saved energy using the Victorian Energy Upgrade prorgam. The Community Rebate Program offers rebates to customers in vulnerable and hardship situations to help reduce their water consumption and water bills. The program includes a range of products and services to improve water efficiency in households. Find out about how you can access discounted energy products. Cut your electricity bill through the Solar Homes package which will be delivered by the newly established Solar Victoria. The Victorian Government is providing a 50 per cent rebate, up to the value of half of an average 4kW solar panel system for eligible households in 2018-19. Find out if you're eligible. Cut your electricity bill with solar hot water. The Victorian Government is providing a $1,000 rebate on solar hot water systems for eligible households in 2018-19. Find out if you're eligible. If you're at work all day, switching your electricity to a flexible pricing plan could make sense because you already use most of your energy in shoulder or off-peak periods. Visit Victorian Energy Compare to compare and claim your $50 power saving bonus. 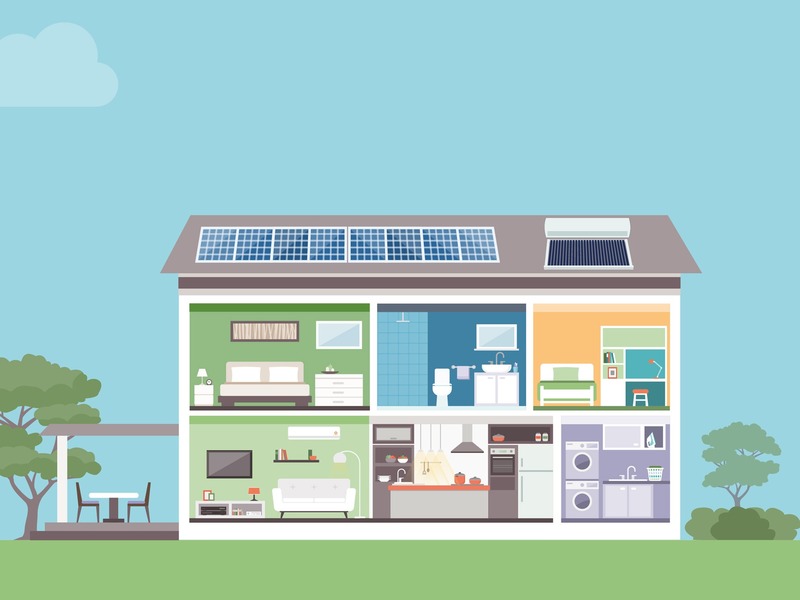 The Victorian Residential Efficiency Scorecard can tell you how efficiently your home uses energy and what changes can be made to help save money. Are you are concession card holder? You may have access to a number of discounts and benefits to help you with your bills. Find out more. Learn how you can save water at home and at work. Learn about water efficiency initiatives like Target 155 and Target Your Water Use and save money. Ways to Save is just one of the many examples of how DELWP is meeting its commitment in our Community charter to provide information to the community that is straightforward and available in a variety of different ways.